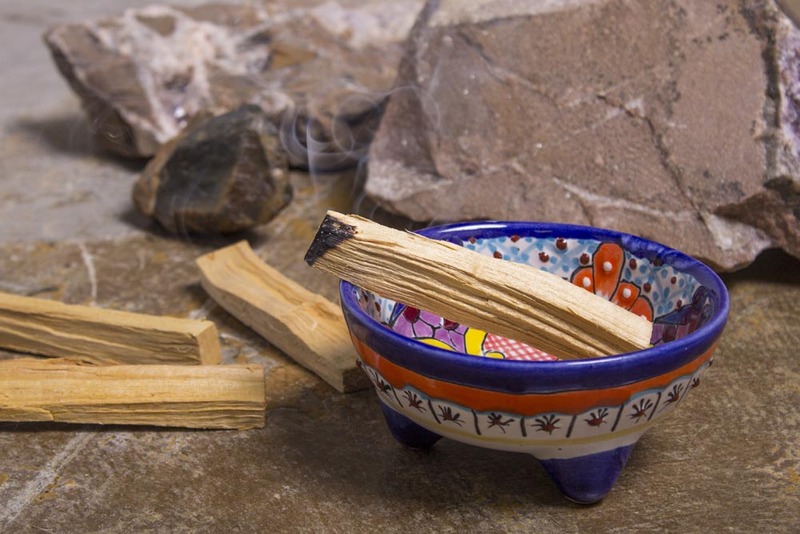 If you’ve never smelled the smoky, warm, calming scent of Palo Santo, you’re missing out! Find out more about this sacred tree and all the benefits you can reap from it here. Palo Santo is a tree that grows on the coast of South America and, translated from Spanish, means Holy Wood. 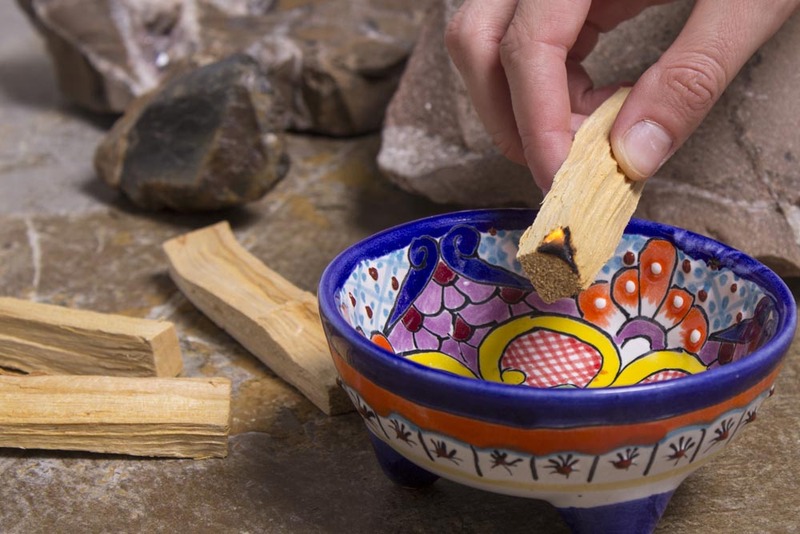 Related to both Frankincense and Myrhh, Palo Santo has been used for centuries in prayer, sacred ceremonies, and healing. The wood gives off a scent of pine, mint, and lemon. 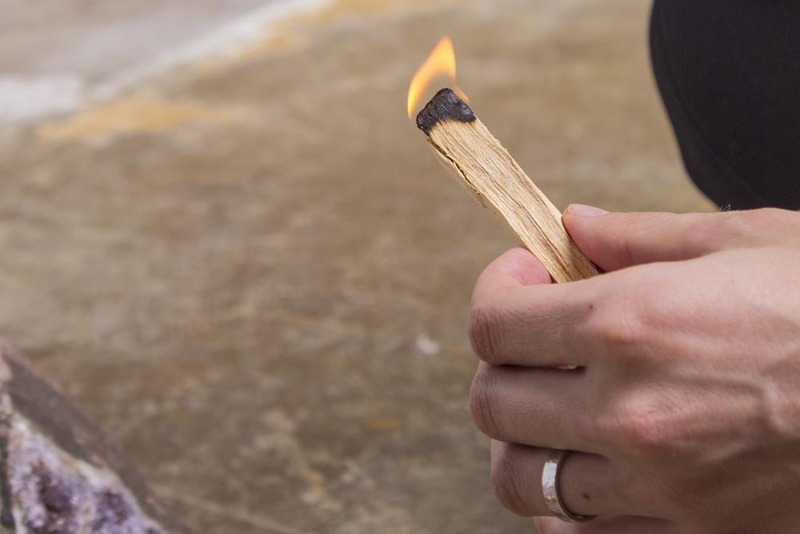 Palo Santo sticks are sustainably harvested from dead trees and fallen branches. These branches are then allowed to dry for 3-5 years. During this time, the sap begins to crystallize, which gives the Palo Santo its signature burn and aroma. Light a smudge stick, wait a minute, then blow out the flames. 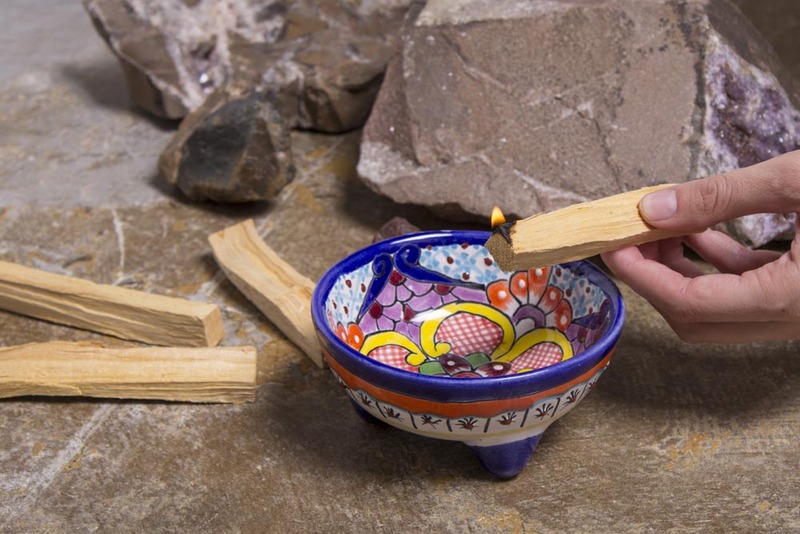 Place the smudge stick in a fire-proof dish (a decorative ceramic bowl or plate works great) and let it smolder until it naturally goes out. You can also store un-burned sticks in a satchel in a dresser drawer or closet to infuse your clothing with the scent of Palo Santo. 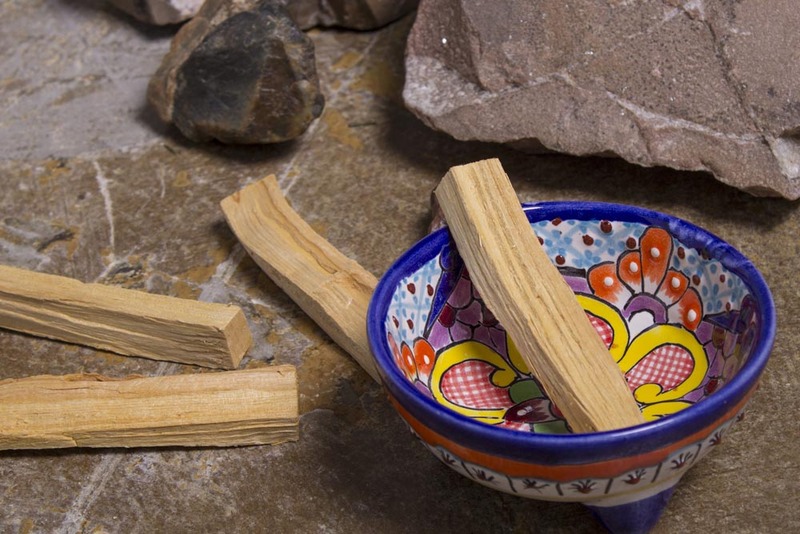 Palo Santo is most well known for its energetically cleansing and healing properties. It provides an uplifting scent that raises your vibration and allows a deeper meditation or connection to the earth’s magic. Palo Santo is also used for relieving common colds, flu symptoms, stress, headaches, and anxiety. While it’s great for your mind and body, insects dislike the scent of Palo Santo, making it an excellent natural bug repellent as well.